Being naturally curious I continued to investigate crows and my association with them. I learned that they are from the corvid genus which includes ravens magpies and jays. 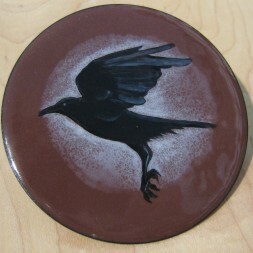 I learned that the etymology of my name was not related to crows. It is an anglicization of Mac Conchradha which has as its root ‘con’ meaning ‘hound’ and chrada meaning thorn bush or hawthorn. But I also discovered the place of the crow in folklore and began a journey into myth and fairy tale that inspires me to this day. 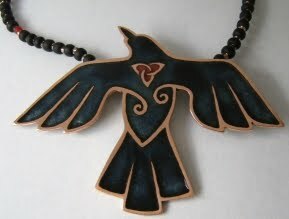 In Celtic culture the crow/raven is often referred to as the ‘oldest’ of the animals, which is folklore code for participation in some way in the creation myth. Unfortunately in Celtic culture the Pagan origin myth has been lost but in other cultures the crow often fills this role. 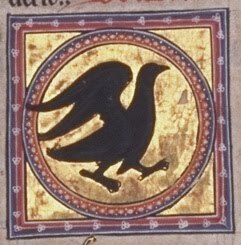 Greeks believed that Apollo turned the raven black when the bird informed him of the unfaithfulness of his lover, Coronis. “How would you know – and you just out of the egg last week?” she asked. So the mother eagle flew over to the Blackbird at the forge. So the eagle flew over to the bull in the field. “Do you remember a colder night than this?” she asked? 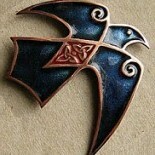 “That was never your child” said the blind salmon “that was the old crow of Achill. There WAS a colder night than this. I remember it well- it was old May night many years ago. Once, beyond the suburbs of Chicago, I watched a crow eat a styrofoam cup. In his natural instinct, who was I to stop him ? This entry was posted on January 15, 2011 by imagocorvi in inspiration, mythology and tagged crow, folklore, meaning, mythology, names, raven.